Was Charlotte Ever the Capital of North Carolina? Since Charlotte is the largest city in North Carolina by a decently large margin, many people automatically assume that it is the state capital, or that it at least was at one point. It was never the state's capital. Nor is it now. Raleigh is the capital of North Carolina. Charlotte was an unofficial capital of the Confederacy at the very end of the Civil War. It had been established as the Confederate's headquarters after the fall of Richmond, Virginia, in 1865. Raleigh is about 130 miles from Charlotte. It has been the capital of North Carolina since 1792. In 1788, it had been chosen to be the state capital as North Carolina was undergoing the process to become a state, which it did in 1789. As of 2015, the U.S. Census Bureau puts Raleigh's population at about 450,000. It is the second largest city in North Carolina. In contrast, Charlotte has about twice as many people in its city. And, the immediate area surrounding Charlotte, considered the Charlotte metropolitan area, encompasses 16 counties and has a population of nearly 2.5 million. Before there was a North or South before its name, Charleston was the capital of Carolina, a British province, then later a colony from 1692 to 1712. The name Carolina or Carolus is the Latin form of the name "Charles." King Charles I had been King of England at the time. Charleston was formerly known as Charles Town, clearly a reference to the British king. During the early colonial days, the city of Edenton was the capital for the area commonly known as "North Carolina" from 1722 to 1766. From 1766 to 1788, the city of New Bern was chosen as its capital, and a governor's residence and office were constructed in 1771. The North Carolina Assembly of 1777 met in the city of New Bern. After the American Revolution began, the seat of government was considered to be wherever the legislature met. From 1778 to 1781, the North Carolina Assembly also met in Hillsborough, Halifax, Smithfield, and Wake Court House. By 1788, Raleigh was chosen as the site for a new capital primarily because its central location prevented attacks from the sea. Charlotte was an unofficial capital of the Confederacy in the Civil War. Charlotte hosted a military hospital, a Ladies Aid Society, a prison, the treasury of the Confederate States of America, and even the Confederate Navy Yard. When Richmond was taken over in April 1865, leader Jefferson Davis made his way to Charlotte and set up the Confederate headquarters. It was in Charlotte that Davis ultimately surrendered (a surrender that was rejected). Charlotte was regarded as the last capital of the Confederacy. 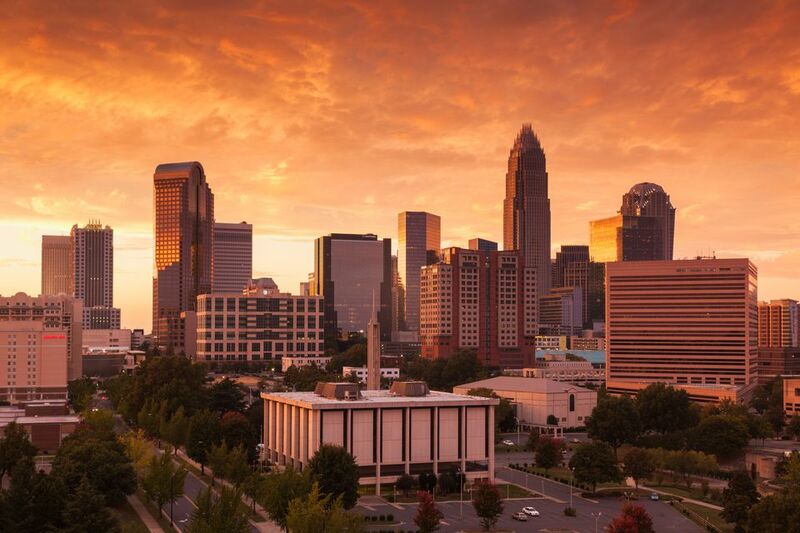 Despite sounding much like Charles, the city of Charlotte was not named for King Charles, instead, the city was named for Queen Charlotte, the Queen Consort of Great Britain. The following locations have been considered the state's seat of power at one point or another. Official capital when Carolinas were one colony from 1692 to 1712. Unofficial capital. The assembly met there. Official capital from 1722 to 1766. Official capital from 1771 to 1792. Official capital from 1792 to the present.